Home » Blog » What do you Know about Your Glaucoma Risk? During glaucoma awareness month, we would like to take the opportunity to discuss this condition and how you can manage your eye health through mindfulness. There are various forms of glaucoma. The term is used to describe a group of diseases that affect the overall health of the optic nerve. This nerve takes images from the eye and, via thousands and thousands of tiny “wires,” transmits those images to the brain. It is a complex and very delicate structure that requires early detection of damage to halt the progression of vision loss. Older adults. 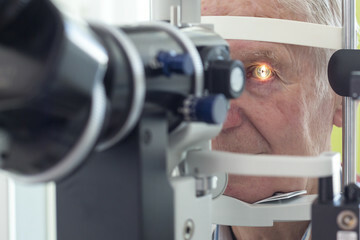 Studies say that glaucoma risk increase six-fold after the age of 60. African Americans have a six to eight-times higher risk for glaucoma. Individuals of Asian descent seem to be at a higher risk for specific types of glaucoma, such as normal-tension glaucoma and closed-angle glaucoma. Family history is an important risk that should not be overlooked, as there is a substantial increase in cases with genetic links. Open-angle glaucoma could result from an injury to the eye, either immediately or years after the initial damage. Glaucoma can steal your eyesight, but that does not have to be a guarantee. With early intervention and ongoing care, it is possible to manage eye health and preserve vision. Learn more about glaucoma, and call us in Alliance, North Canton, or Canfield to schedule your eye exam.